Even if one is not so inclined, the thought of pouring a stiff drink is almost natural at the end of some days to aid relaxation and ease into a more comfortable state of mind and body. The never fail pick for a hard drink is often whiskey. A hard drink for hard days… And of course, the spills, when the character of day and drink clash and somebody is left with a hard carpet cleaning job. Whereas you can wipe whiskey spills from a wooden or stone surface, it is not quite a charm when it gets unto rugs. In that case, think stains! Whiskey stains on rugs can have one switching between warm, soapy water and dabbing clothes and rubbing alcohol and round spoons to get that stain out and that rug clean again. You could end up dabbing and scraping until the cows come home without successfully cleaning that stain! Our customer did not choose to waste time dabbing and scraping. 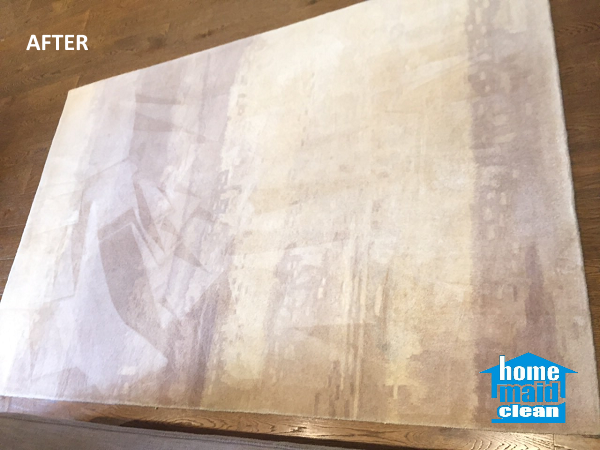 They chose to call the expert carpet cleaners at Home Maid Clean to do the job for them. The numerous positive customer testimonials for our carpet cleaning service were a major factor that convinced the customer we would be able to handle this case for them, with the best quality possible. Strictly following our 9-step carpet cleaning process, the carpet cleaning technicians first assessed the rug fabrics and colour. After dusting and vacuuming the rug to remove excess dust and dirt, they treated the stains with detergents that were efficient for cleaning whisky stains while at the same time being safe for the carpet type and material. 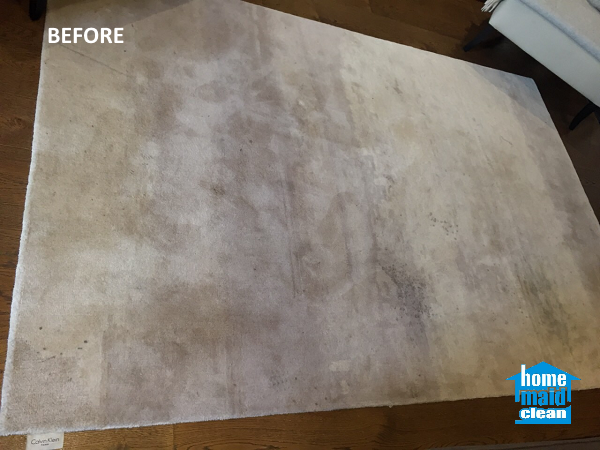 Our carpet steam cleaning technique was then administered once the stains were successfully treated, giving the rug a two in one total cleaning! With our state of the art equipment, not only were the whisky stains removed but all dirt and stains that were present in the rug were also cleaned. Thanks to the administered steam cleaning, the carpet got double or triple benefits of sterilizing, refreshing (colour and odour) and stain removal (in conjunction with eco -friendly detergents). So, now our customer could rest easy and relax (with another drink) in an environment with a truly clean rug! Check out our carpet cleaning service and call us to book a clean, for your home or office carpets and rugs. We take pride in being a recommended London carpet cleaner and look forward to having you join our list of happy customers. We clean stained carpets and rugs everywhere in London and emergency carpet cleaning comes at no extra cost!